In stock on Thursday 25th of April. Order today. The Wild & Wolf 1950s American Diner Phone is built in the form of the classic which was ubiquitous in American diners, pubs and restaurants throughout the middle of the twentieth century. 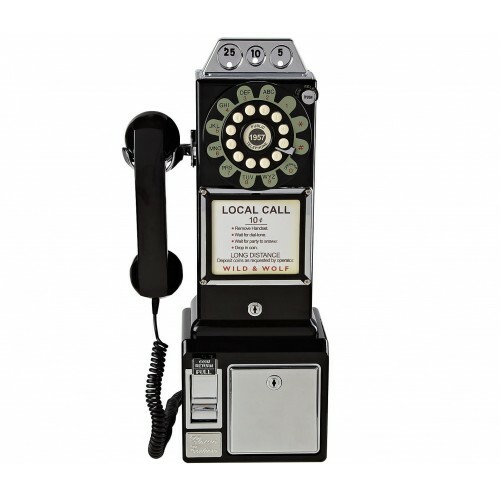 It follows the original style in every way, complete with three slots and a full­featured coin back with a lock and key. 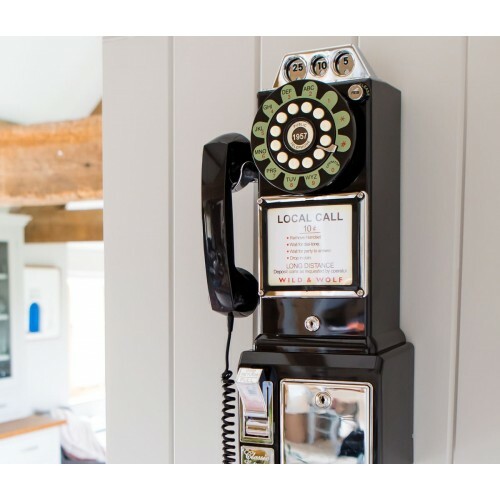 However, no coins are required to use this phone ­ it provides you with modern technology for everyday modern home use while retaining a classic style for those with nostalgic tastes. 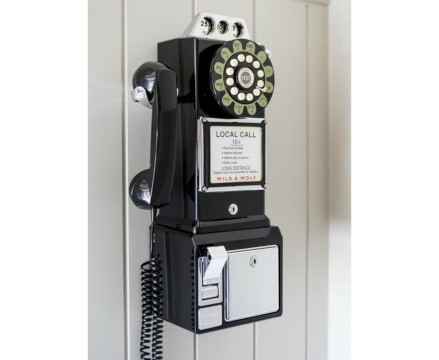 Just as with any other modern corded phone, you can connect the Wild & Wolf 1950s American Diner Phone to any standard BT phone port and start using it straight out of the box like any modern telephone. The original rotary dial looks authentic, but for added convenience, it uses push­button technology instead. The bell mechanism is also built in the original style so that this phone both sounds and looks the part among retro surroundings. 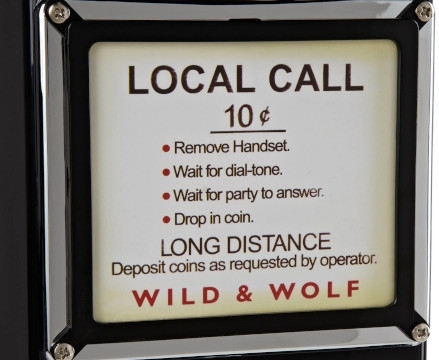 Although included only for style and authenticity, you can even place coins into the slots for an even more realistic experience. 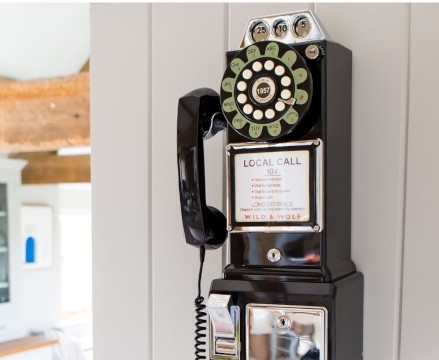 The original diner phones of this style were invariably wall­mounted, and you can place this phone either on the desk or attach it to the wall. 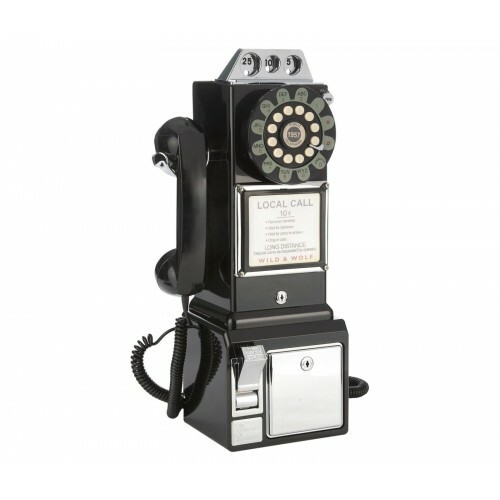 It is made from high quality and durable ABS plastic, and is available in black with chrome accents. The coiled cable is generously long, allowing you to have a degree of freedom to move around when you are on a call. Great for its novelty factor, the Wild & Wolf 1950s American Diner Phone looks and acts the part, making it an ideal choice for those wanting to go for the original American 1950s diner style. Excellent first shopping experience, with best price on the web & free P&P! Superfast delivery by LiGo, will shop again. Many thanks.